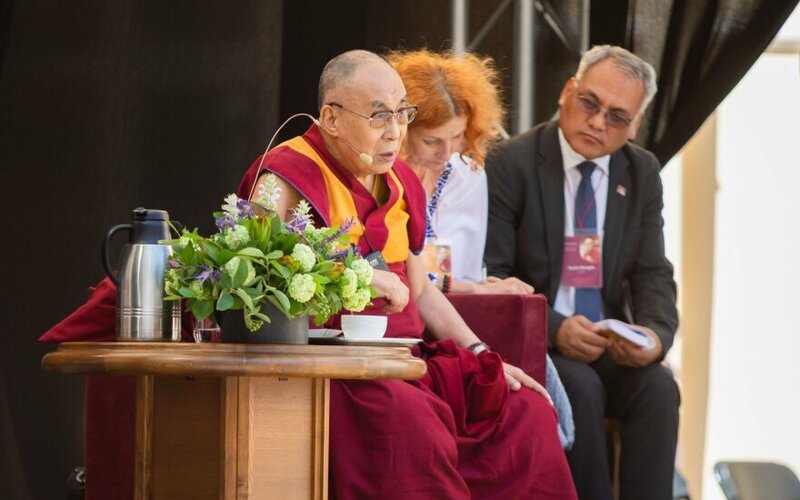 Tibet's spiritual leader, the Dalai Lama, currently visiting Vilnius, on Wednesday congratulated the people of Lithuania on the 100th anniversary of the restoration of the Baltic country's statehood and called on them to enjoy freedom. "Though centuries you struggled and now you have achieved the basic human right – freedom, so enjoy that. I very much want to express my congratulations to the people of Lithuania. Wonderful," he told a press conference in Vilnius on Wednesday. "Every small nation can make some significant contribution, (...) promoting compassion in humanity. This century should be a compassionate century, not a century of weapons, not a century of too much competition or show of force. I think that is out of date," the Dalai Lama said. He also compared Lithuania and Tibet's freedom aspirations and said that one could find similarities and differences in every case but freedom has been a universal human aspiration for thousands of years. "Without freedom, you cannot utilize human intelligence fully, so therefore freedom is very important," Tibet's spiritual leader said. Later on Wednesday, the guest will visit Tibet's Square in the Užupis area of Vilnius and will plant a symbolic tree for the occasion of the 100th anniversary of the restoration of Lithuania's statehood. The State of Lithuania was restored on Feb. 16, 1918, when the Act of Lithuania's Independence was signed by the Council of Lithuania in Vilnius. Meanwhile, Tibet lost its autonomy from China in 1951 when Beijing deployed its army to this territory after its declared independence. China claims to have liberate Tibet then but some locals accuse the central government of religious and cultural oppression. The Dalai Lama also downplayed the fact Lithuania's leaders would not meet with him this time. Lithuanian President Dalia Grybauskaitė met with the Dalai Lama in Vilnius in 2013, sparking China's resentment. Ahead of this year's visit, Beijing warned that the Dalai Lama's visit might undermine Lithuanian-Chinese relations, especially economic. "To me, not much difference. The president is also a human being and there are 7 billion human beings," he said. "If I had some political agenda, then maybe it will be relevant to meet with some leaders of the countries, but I have no political agenda and actually in 2001 I retired from political responsibility. On 2011 I totally retired." "Since then I am fully committed to the promotion of human value. Education is my number one commitment," Tibet's spiritual leader said. The Dalai Lama is scheduled to meet with Lithuanian politicians, businessmen and public figures supporting Tibet. The Dalai Lama is visiting Lithuanian for a fourth time already. 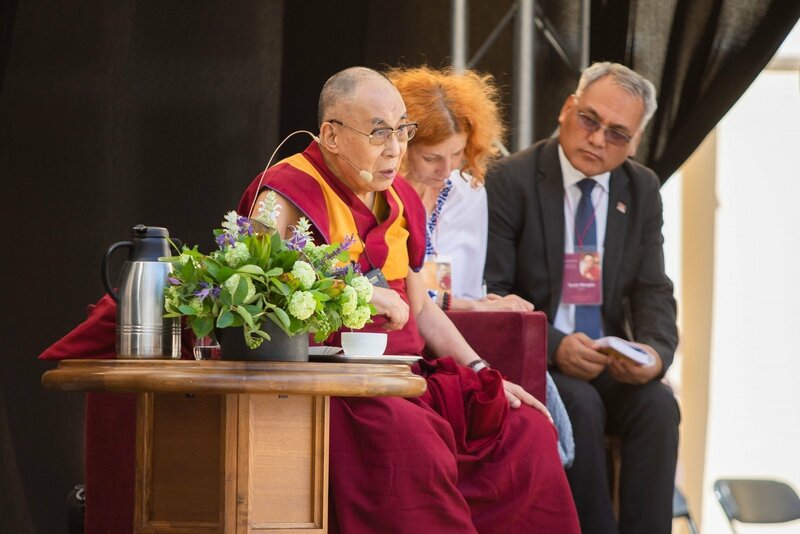 The Dalai Lama arrived in Lithuania on Tuesday.